For my birthday, my brother bought me two nice beers and told me they were meant for me to blog recipes on! I have tried both before and thought they were excellent choices to cook with. One is still in the fridge (a Dandy Brewing Company Oyster Stout) as I have not had the time or inspiration to cook with it as of yet. 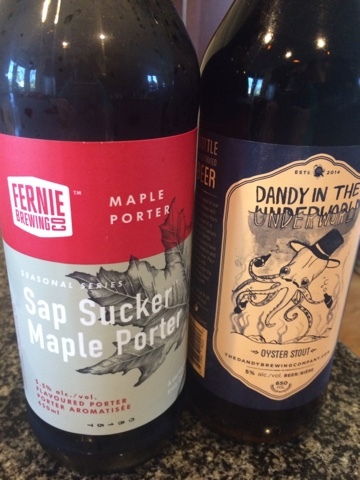 But my brother was over for dinner the other night so I decided to use the other one – a Fernie Brewing Co. Sap Sucker Maple Porter. Now, full disclosure, I made this, recorded the recipe on a scrap of paper, lost the paper and forgot exactly what I did. So I made it again tonight and it turned out almost identical; so I guess I remembered after all! 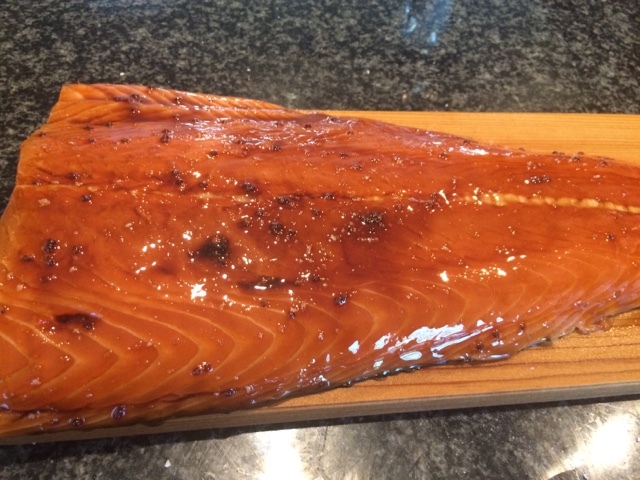 1) Soak the cedar plank in warm water for at least 1 hour. 3) Heat your barbeque to 375 degrees Fahrenheit. 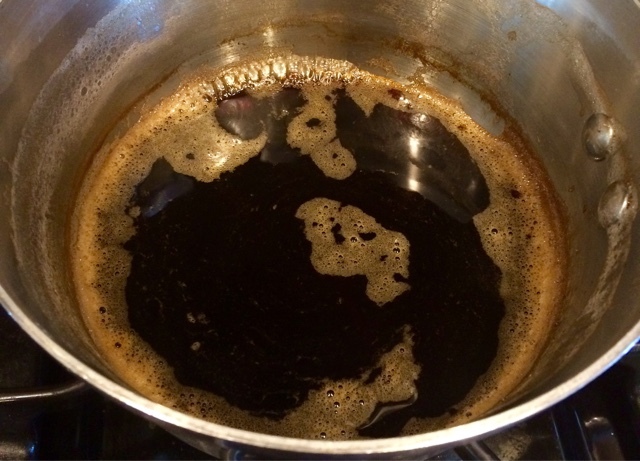 4) Add the mustard, brown sugar, salt and pepper to the simmering beer and lightly whisk. Increase the heat to medium high so that the liquid is lightly boiling and cook and additional 10 minutes. Continue to whisk occasionally. 5) At this point, the liquid should have reduced by more than half and should be the consistency of maple syrup. 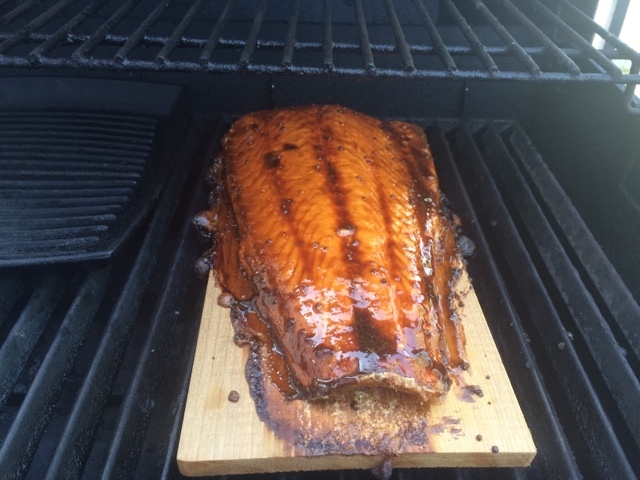 6) Remove the reduced beer glaze from the heat and let cool for a couple minutes. 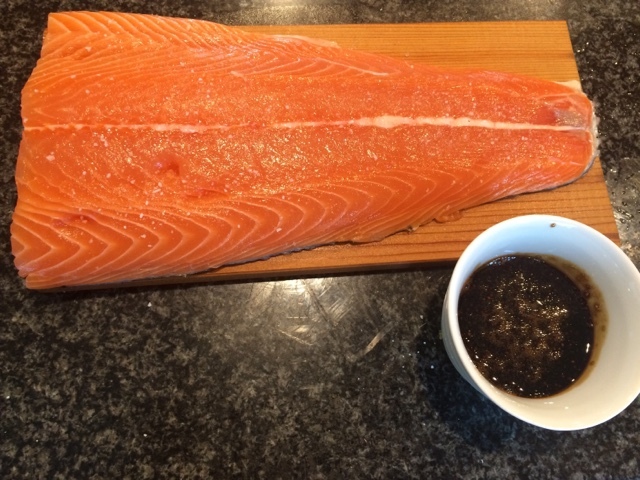 7) Put the salmon on the plank and, using a pastry brush, add a generous amount of the glaze. 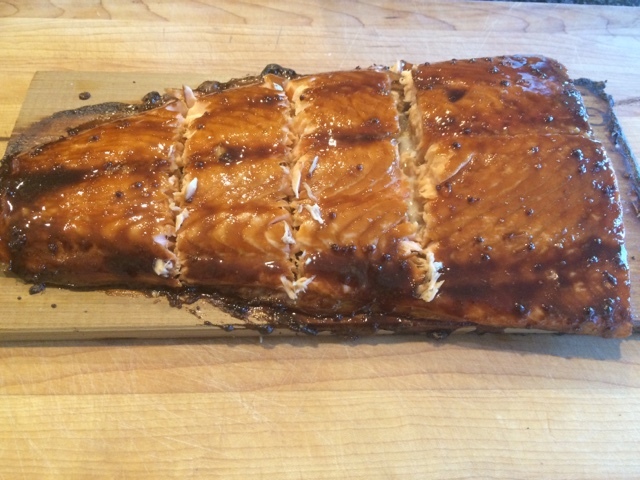 8) Cook for 20 minutes, brushing again with glaze every five minutes. 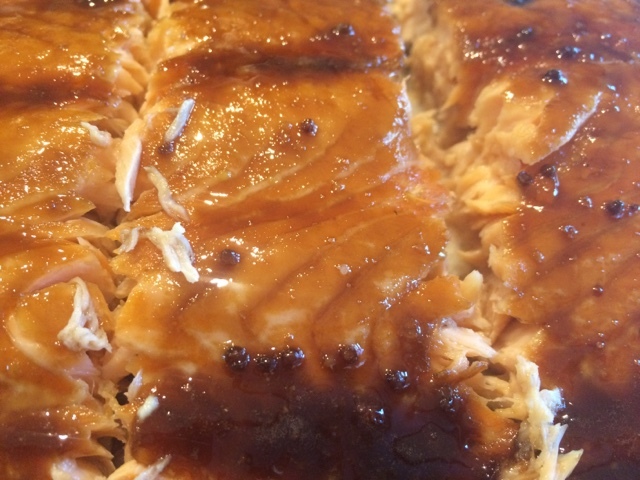 Salmon is done when it easily flakes apart with a fork, but is still tender. The glaze has a lot of flavor so serve with something simple like roast potatoes, veggies and of course, a cold beer – Enjoy!